Indiesquare is working on a new project to help games send Counterparty tokens with low fees. The project remains highly protective in what it can reveal right now but promises to reveal more information soon. Mandel Duck will similarly be developing games that utilize this tech, so stay tuned for more information as it comes! Mafia Wars started the month with their 8th distribution of MAFIACASH. The team celebrated a huge month with over 200 players joining the game this month! Among the families, the Colombo family emerged the strongest with 77 new members. Check out more info in the jump above, alongside more info on the distributions here. In the past month, the Mafia Wars team have hosted card giveaways via their twitter handle. With lots of new designs and monthly design contests, this is hopefully a tradition that will follow through to the coming months. You can now trade your Mafia Wars collection within Book of Orbs here. BitCrystals has revealed that you can now buy the BitCrystals token with both BTC and ETH. With another addition to the CrystalsCraft collection, Joey Chips’ ‘CRYPTOARTATM’ is available via Book of Orbs now. FoldingCoin has has a quieter month after a taking a series of progressive steps for the project which you can check out here. Still, the team has announced via their Twitter handle that the 3rd venue to accept their FLDC token is an art venue. As art holds a beloved place within the crypto community, you can check out Lynx Art, a Floridian based company here. Make sure to check out the Folding Coin twitter handle for further updates as and when they are released. Age of Rust has been a longterm feature in the Counterparty newsletters, but in case you need an introduction, the team shared an awesome introductory piece via their twitter handle. The medium article titled; “Age of Rust — Who?, What?, Where?, When?”, follows Age of Rust through its beggings to now, creating a great timeline for fans and newcomers alike, highlighting the Counterparty protocols role throughout. Check it out. With a quiet news cycle this month, JScrilla posted his 2018 recap of CryptoArt and music featuring some Counterparty projects. The post features the ‘Art on the Blockchain’ podcast that in itself features so big Counterparty community influencers. Also featured, is the Rare Art Festival and Bitcorn Crops. 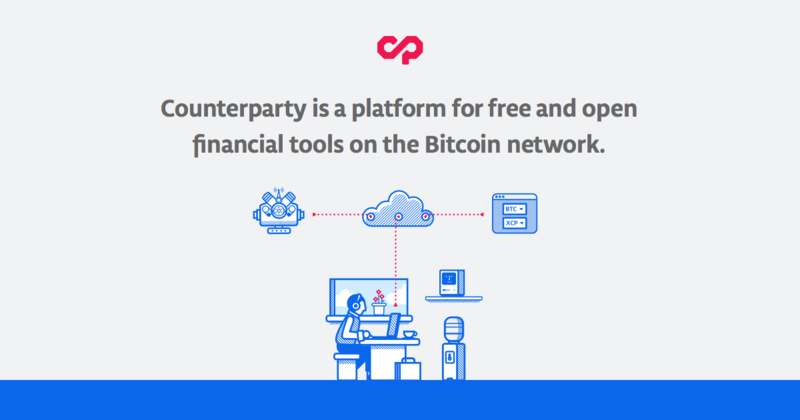 All exchanges and main ecosystem actors have updated successfully to Counterparty 9.56.0 and that Developers are currently working towards the next set of features for 9.57.0. MCAT will allow Counterparty users to group their transactions with those of other Counterparty users, to reduce their send costs considerably. Most users will be able to utilize this feature to send transactions for less than the cost of a single bitcoin transaction. To stay up to date with any pending and currently developing CIPs check out their Github pages and the official Counterparty donate page here. Please share or RT Counterparty CIPs on social media so we can help fulfill them faster!